BCB will be on the move … again! 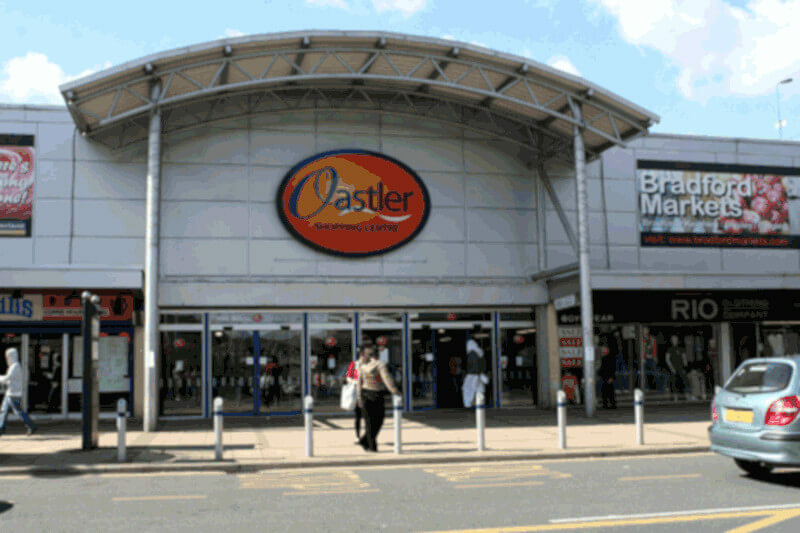 Bradford Council Executive met on 10 July and approved the proposal to move the Oastler Market down to the old M & S building on Darley Street. This will result in the present market site being demolished – which of course means that BCB will be on the move again! The time scale for the market move is three years – i.e. spring 2021, so we are starting to explore options, think about the move, and what BCB would want in a new building. So – get thinking! This will be the focus for our September BCB get together. 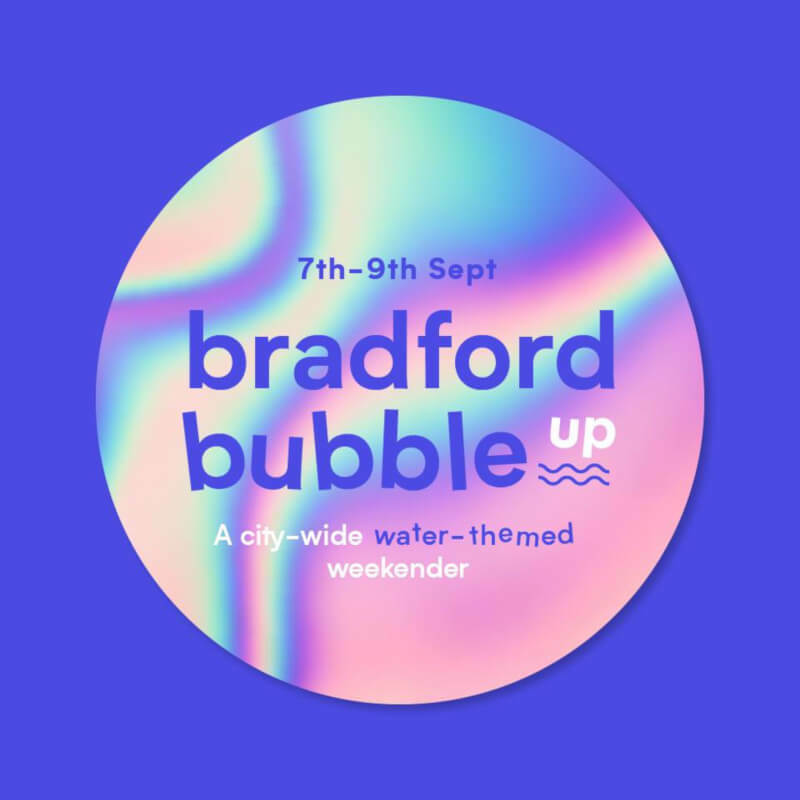 Bubble Up Bradford – 8/9 September – keep the date! We’re looking for musicians, writers, poets, creatives as well as water experts, local historians etc (basically people who know stuff about water!) to take part in the broadcast. So keep the date – we’ll need all BCB hands on deck for the weekend. And if you have any broadcast ideas of what we could do over the weekend, particularly re: Bradford and Water, please do share them. We’ll have a get together to plan the weekend very soon. In July, every Wednesday morning, BCB has been working with a group of eight women at Café West in Allerton to make a programme about the issues in their community. 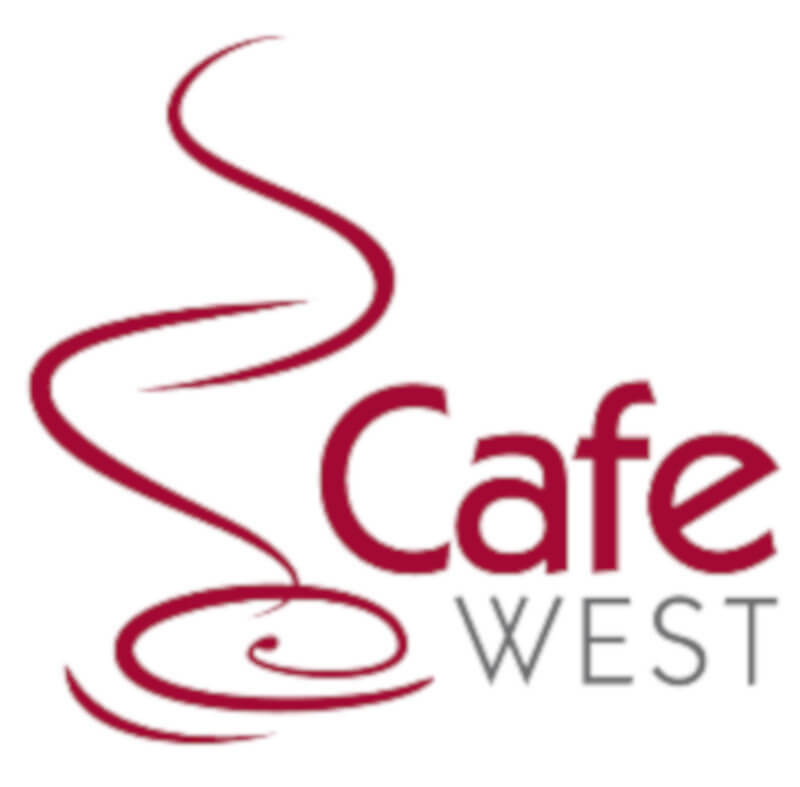 Cafe West is a Healthy Living Centre based in the heart of Allerton and providing services to the community. The women range in age from 30 to 50. They are women of colour, white women, Polish, English, Scottish and Irish. But in their entirety they are all working class women who have been raised and live on council estates. They have got a lot to say about a range of issues and in the coming weeks they will be making radio programmes about their lives on the estate, their childhood memories, what it means to be a good neighbour and much more. So watch this space! Over the summer holidays BCB is offering three weekly sessions for young people to learn radio skills and participate in BCB Radio. Daleks and eight foot robots in Bradford City Centre? It must have been Bradford Science Festival, which took place at the National Science Museum, City Park and Bradford Broadway 20-22 July. 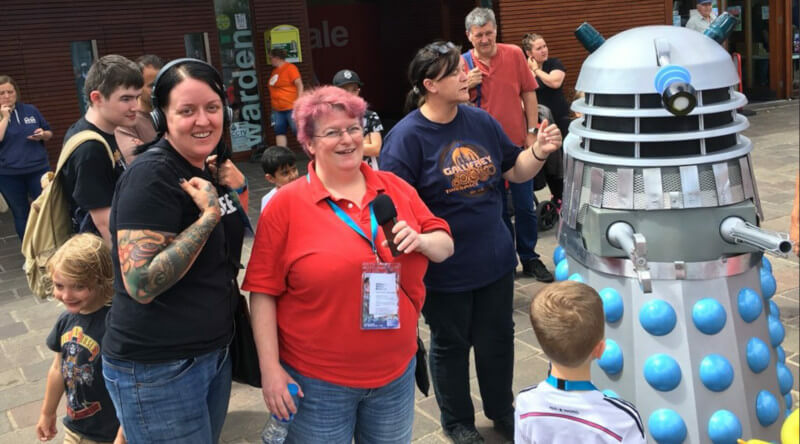 BCB was at the heart of the action – see picture of Gail Simpkins and Ann Morgan with said Dalek in City Park, broadcasting live 1-3pm on the Saturday and Sunday of the event. 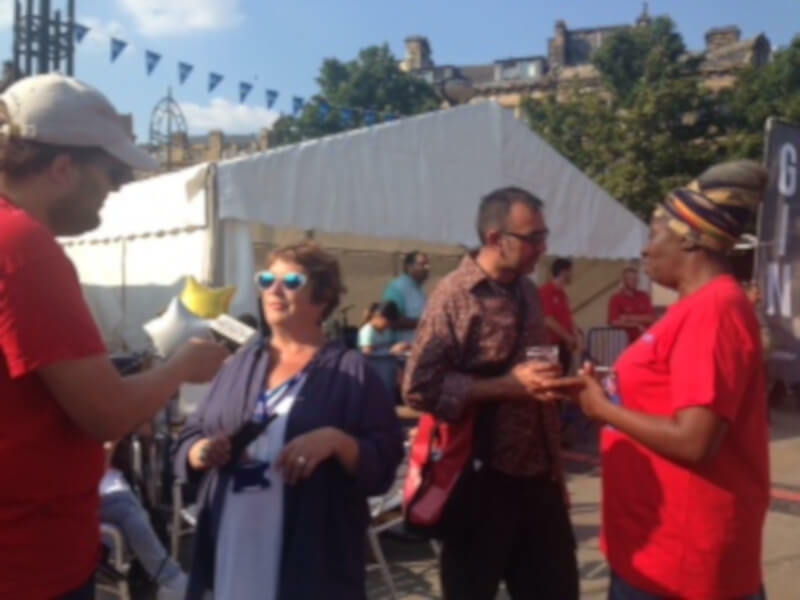 July was a busy time for BCB and festivals in Bradford. We broadcast live from City Park for much of the Bradford Festival weekend – basking in the sunshine for a change! 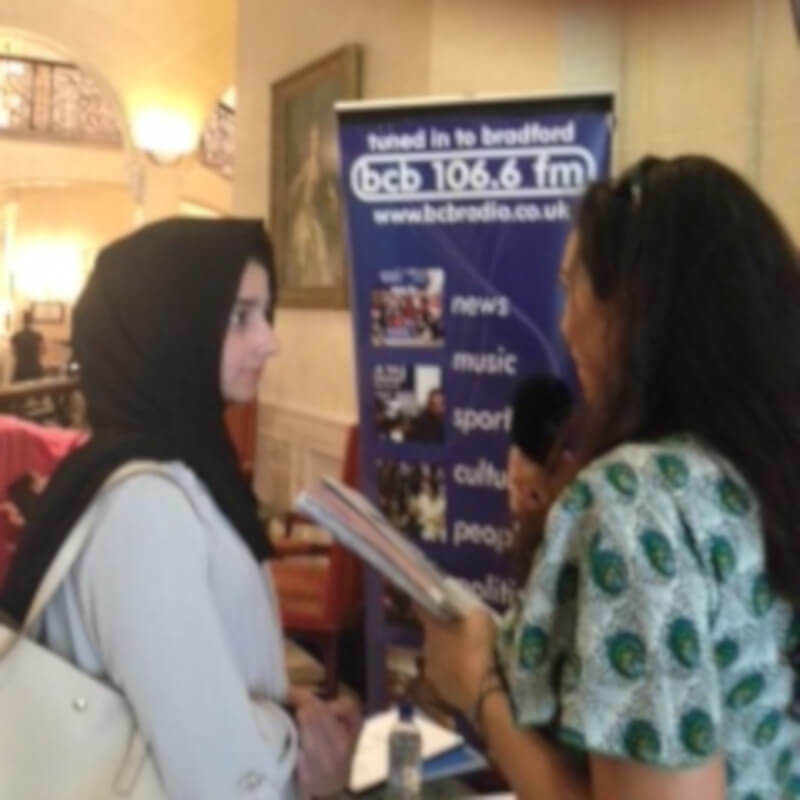 As over 500 events took place across the city for Bradford Literature Festival, BCB was at the heart of the action broadcasting live each day. BCB presented the fantastic range of talks and activities taking place, as well as chatting to some of the prestigious speakers – bagging an interview with Suzi Quatro no less! It was great to be a part of this year’s festivals and a big thanks to all the volunteers who helped BCB’s involvement run smoothly. Radio Venus is a weekly training programme for women that takes place at BCB every Thursday 2-4pm. The sessions provide a space for women to work together and talk about the issues that affect their lives and develop their ideas about stories they want to include in programmes. The supportive environment of this space has allowed many women to learn about radio who would otherwise have been too scared. We are currently training a group of six women, who are producing four shows about mental health. The first of those went out Thursday 19 July. In addition to doing a joint programme, they are also venturing into planning their own shows, taking part in BCB’s Round Table discussion show and taking on public speaking in their lives. Every month, we focus the spotlight on one BCB show and tell you more about it. This time we’re giving you more information about Palabras Lejanas. Palabras Lejanas is presented by Clara Martin Cruz, and broadcasts on BCB every four weeks, Tuesday 6-6:30pm. 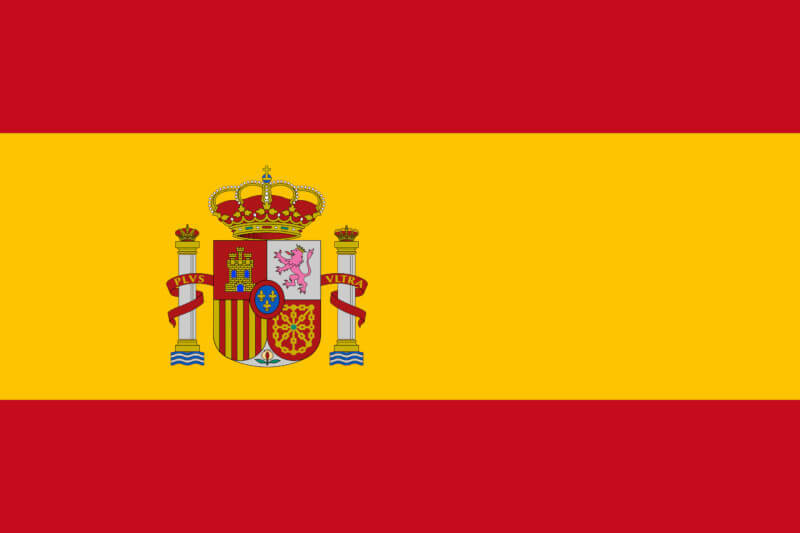 The show is in a mixture of Spanish and English and focuses on Spanish news and cultural issues. Deleting Files – It’s Nearly August! As some of you will have noticed, we have made a real effort in July to organise and clear up the M: drive, which had become unorganised and home to a lot of files that may not belong there. We have moved any files that shouldn’t be on the drive into a folder marked ‘To Delete (August 2018)’. As it says on the folder, we will be deleting all these files this month. If you anything stored on that M:Drive which isn’t audio stored in Myriad, please move/remove these files as you could be at risk of losing them. Each month in the newsletter we’re going to celebrate the new programmes that have recently started on BCB! This month we draw your attention to Bollywood Beats (Sammiyah Ahmed), Poetry Out Loud (Kirran Shah) House of Funk (Brooke Scaife), The Carers’ Show (Carers’ Resource) – apologies for any that we’ve forgotten to mention. And if you’ve got an idea for something new that should be on BCB then put a programme proposal to the BCB programming group – it meets on the first Wednesday of the month.